Contribution No. 23 of the series on Agroforestry System Descriptions under ICRAF's Agroforestry Systems Inventory Project, funded partially by the United States Agency for International Development (USAID). 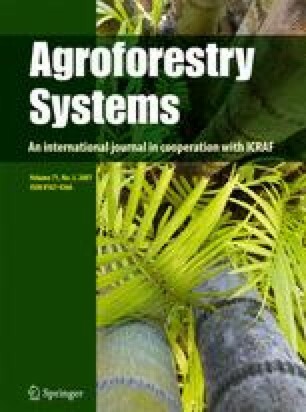 See Agroforestry Systems 1 (3):269–272, 1983 for project details. Series Editor: P.K.R. Nair.